Islam places great emphasis on correcting oneself which is why the struggle for self-reformation has been classified as a major Jihad. Here, Muslims are told that there biggest enemies are worldly temptations such lust, greed among many others, and they are commanded by Allah to strive against their own whims and wishes. Muslims are told that, as a result of this endeavour, they will be able to transcend from an ‘animalistic’ state of existence i.e. living for immediate gratification or gain to a more disciplined state of moral control. This type of jihad is obligatory on every Muslim throughout his life. 6:109 – And revile not those whom they call upon beside Allah, lest they, out of spite, revile Allah in their ignorance. Thus unto every people have We caused their doing to seem fair. Then unto their Lord is their return; and He will inform them of what they used to do. 2:257 – There should be no compulsion in religion. Surely, right has become distinct from wrong; so whosoever refuses to be led by those who transgress, and believes in Allah, has surely grasped a strong handle which knows no breaking. And Allah is All-Hearing, All-Knowing. According to the Qur’an anyone who devotes his time, effort, wealth or knowledge to the cause of righteousness is practising Jihad-e-Kabir. This is also obligatory on all Muslims. This Jihad is undertaken in case of extreme persecution againstMuslims. For instance, if Muslims are being forced to convert to non-Muslims, or are being stopped from practicing Islam or if a peace treaty is among Muslims and non-Muslims is not honoured by non-Muslims or any other similar instance then offensive jihad is undertaken. If a Muslim state or Muslim worship place are physically attacked by the enemies, then the Muslim are permitted to wage jihad. And this is called Jihad in Defence. Further on, there are clear directions in what can and cannot be done in a battle fought by the Muslims. Civilians who are not fighting against Muslims are not to be attacked or killed at all. Crops or other sources of food and water and cattle or other animals are not to be destroyed. Hospitals, orphanages and other places of safety and refuge are not to be destroyed. Mosques, churches, synagogues or other places of worship are not to be destroyed. Women, children, old and disabled are to be left untouched. If the aggressor stops the aggression or offers a treaty it should be accepted and the fighting stopped forthwith. Fleeing oppressors need not be pursued to any unnecessary length and should be allowed to return to their home. Prisoners of War should be treated with respect and their basic needs be fulfilled and they should be freed or ransomed as soon as possible after the battle. These instructions are clear evidence that Islam seeks to restore peace and not to promote aggression. Based on the above mentioned information it is clear that Jihad is very different from an act of terror just as Islam is different from terrorism and Muslims are not the same as terrorists. 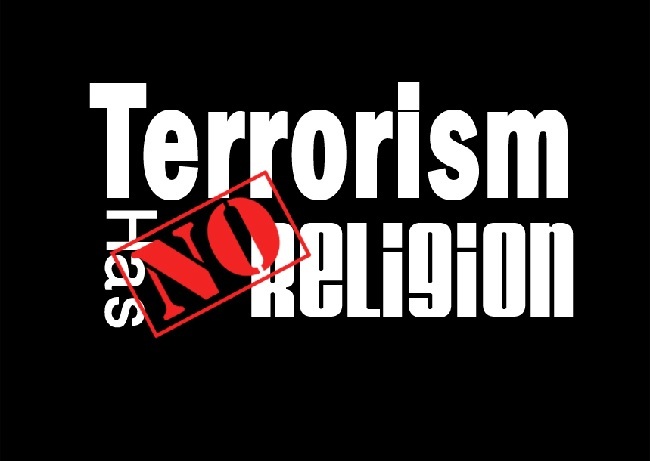 A terrorist has no religion; hence, he or she should not be labelled as ‘Muslim Extremist’ or ‘Islamic militants’. These terms are not only offensive to the ones who practice Islamic faith but they also provide a protective umbrella to these militants. Furthermore, no one can claim to undergo Jihad whole ignoring the Islamic commands pertaining to Jihad. Regardless of what these militants of ISIS, TTP, Al-Qaeda, Boko Haram and other such organizations claim, they are not practising the Jihad. As a consequence they should not labelled as Jihadi militants as they are not worthy of being called Mujahid – one who undergoes jihad. It is therefore well advised that western media should stop referring to these terrorists as Jihadis as they have nothing to do with Islam. True picture of islamic concept of jihad has been depicted.The writer,s contribution is valuable as well as admirable.